Commento sull’apertura in Italia, a Roma, del binario F. Si tratta di un centro di formazione ed elaborazione che in pompa magna, come succede oggi, Facebook ha lanciato all’interno del LUISS EnLab. L’obiettivo è quello di aiutare gli italiani ad acquisire competenze digitali e quindi il paese a ridurre il gap digitale. E’ anche un modo per promuovere il brand Facebook rispetto al contesto politico, per farsi belli insomma. Lodevole. Speriamo non sia il solito tentativo di tenere gli occhi lontani dal fatto che aziende come Facebook non paghino le tasse, come invece fanno tutti i cittadini. In periodo di condoni sarebbe necessario trovare una soluzione per le aziende del web. Riporto qui sotto l’articolo con l’intervista – breve – che è disponibile anche qui sul sito di Xinhua. ROME, Oct. 9 (Xinhua) — Social media giant Facebook on Tuesday opened its “Binario F” digital hub in Rome, an initiative the company said will help Italy close its digital gap, while — according to analysts — also improving its image in a country that has regularly made things difficult for digital multinationals. The new space, in Termini, the main train station in Rome, is designed to act as a meeting place for digital courses and conferences, as well as to act as a digital resource for Italian startups, institutions, schools, publishers, cultural groups, and non-governmental organizations. According to Facebook-Italia country manager Luca Colombo, the Rome facility — along with similar centers in Spain and Poland — is part of a wider European-focused plan to help train one million Europeans to improve their digital skills by the end of 2020, a plan announced by the company in January. At Tuesday’s event in Rome, Laura Bononcini, head of public policy for Facebook in Italy, Greece, and Malta, said that around 100,000 of that number will be trained in Italy between now and the end of next year. In his remarks, Colombo said Facebook was motivated to place the “Binario F” — the name means “Track F,” a nod to the center’s location in a train station and the first initial of Facebook’s name “center for the development of digital skills” — in Italy because the country is a relative laggard among digital competence in Europe. According to the 2018 Digital Economy and Society Index from the European Commission, Italy ranks 25th among the 28 members of the European Union. The Rome center is starting small: the facility now measures 180 square meters (around 1,950 square feet), but Bononcini said it would expand to more than 900 square meters (nearly 10,000 square feet) next year. Luigi Capello, chief executive of the LVenture Group, a venture capital entity run under the auspices of the LUISS University “Startup Factory” and one of Facebook’s partners in “Binario F,” told Xinhua the Facebook plan would help create a valuable “digital ecosystem” in the middle of Italy. “It makes good sense: by train, Rome is just three hours from Milan, one hour from Naples,” Capello said. But Pietro Paganini, founder of the Competere think tank and a professor specializing in innovation management at Rome’s John Cabot University, said the “Binario F” project will also help Facebook “make much-needed friends” in Italy. 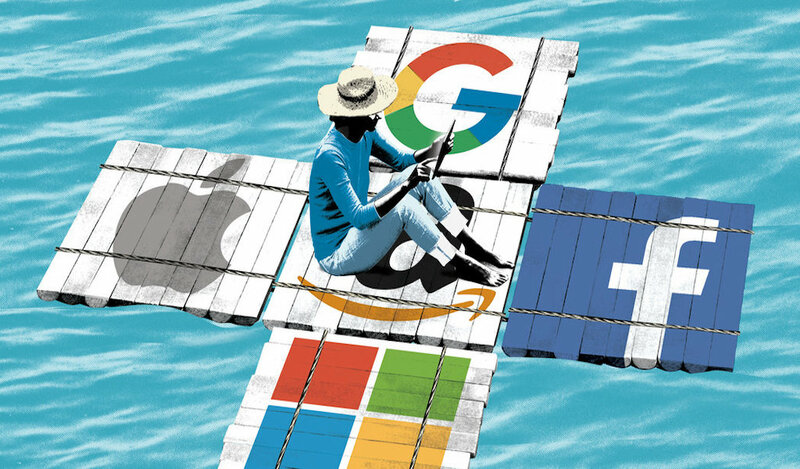 United States-based multinational digital companies like Amazon, Apple, Facebook, and Google, have all faced deep scrutiny in Italy for the way the companies calculate the taxes owed to the Italian state. Facebook’s Milan offices were raided by Italian tax police in 2012, and since then Amazon, Apple, and Google have all received major fines from tax authorities. Facebook has not been fined, but in December, the company preemptively announced it would begin paying taxes in the country where income was generated.